Actually it has been in for a couple of weeks now and we have gradually been moving everything in to it. We moved a few of the daphnia, water boatmen and pond snails last week to see if the water was ready. They survived! So we moved the rest of the old storage box pond yesterday. 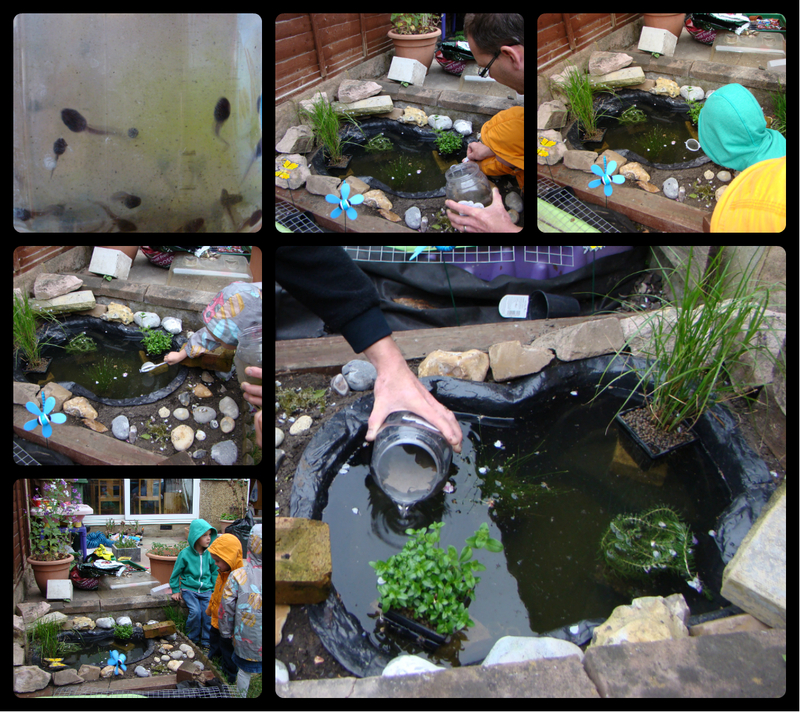 Today we went to a local Aquatics centre and got some pond plants and on the way home stopped off at our friends house and collected some tadpoles. Now I really feel like our little pond is in! Everyone is very happy and excited, but Jasmine is still a little disappointed because we don’t have any pond skaters yet! I’d love you to add some of your outdoor posts to Country Kids. The linky is every Saturday to Thursday. I have so much admiration for you homeschooling your twins. Delighted you have joined in.It looks a perfect linlky for your blog. How exciting! I look forward to hearing more about pond life!